In a game marred by skill errors and poor decision making, one man stood above all others. Not surprisingly he won his third Glendinning-Allan Medal as best afield. 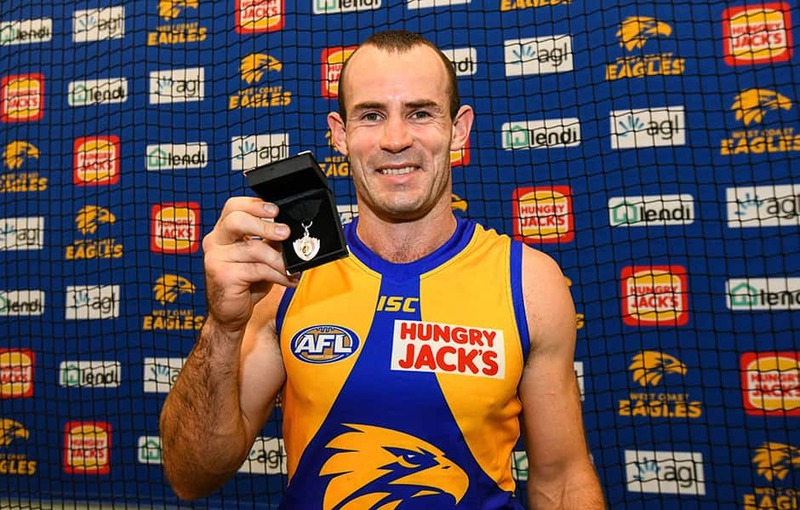 Shannon Hurn stood resolute in defence for the Eagles, with an outstanding rebounding performance across half-back. He had 32 possessions, the bulk of them dispensed by the most destructive right foot in the game. He also took eight marks, most of them intercepts, and in conjunction with Brad Sheppard, Jeremy McGovern and Tom Barrass, they turned back countless Fremantle advances.